The damaged crop in Churah. 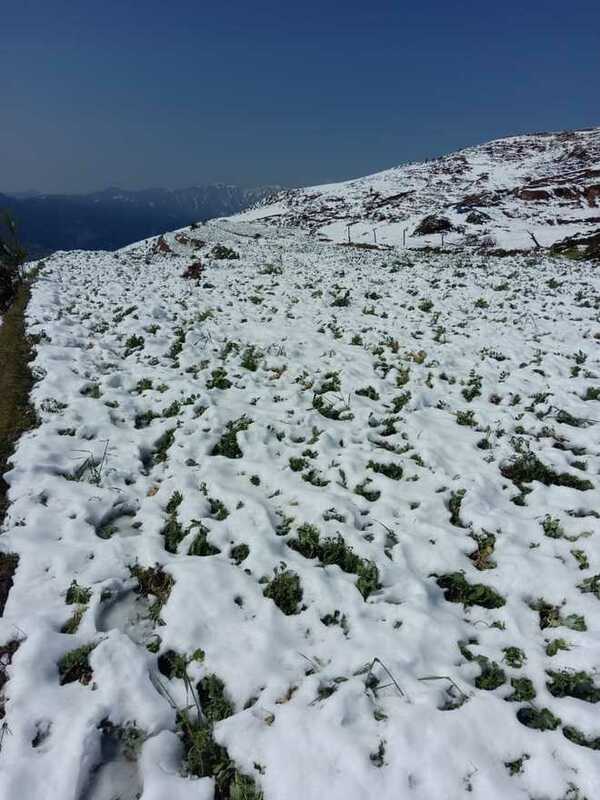 Heavy snowfall in the higher reaches of Churah in Chamba district on Wednesday night caused devastation to the pea crop. Confirming the report, Deputy Speaker Hans Raj said eight panchayats had been affected by early snowfall. Hans Raj said the weather had not only caused damage to the crop, but also ravaged grass, which was a must for the livestock. The worst-hit panchayatsm, where the harvest was destroyed, included Alwas, Guila, Bhanodi, Janwas, Mangli, Charda, Padharn, Dantuin and other high-altitude areas of Churah.